Leopard is the perfect neutral! And what better way to wear it than in a cardigan! This cardigan is from Jess Lea Boutique and is the first design from their new clothing line! I'm sure this one will sell out fast! A light-weight cardigan that is wrinkle free and perfect year-round. This one will look fabulous over a tee, with a dress or skirt, or basic jeans like I have here. I also love wearing easy cardigans like this to work because they are not overly hot or bulky. The best part about leopard is that is mixes so well with anything! Have you tried mixing leopard with plaid? It creates a fun look! Or throw in a color and you have another unique look. 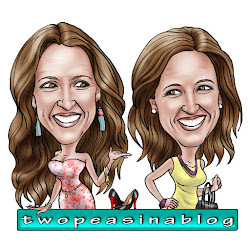 One of our favorite on-line boutiques - Jess Lea just launched their own clothing line and we are so excited to help spread the news. This line is perfect and fits our style to a tee - busy women who want a chic, stylish look. 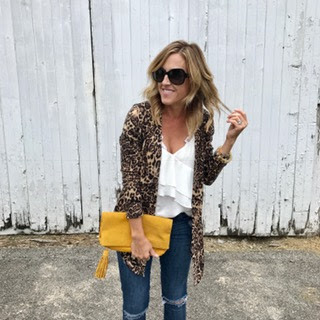 This leopard print cardigan is the first original design and we're sure it's going to be crazy popular! Yes! So fun to pair it with other prints and colors. Ooohhhh that leopard cardi is fierce! Love it! Thanks! It's a great light-weight material. So easy and fun to wear.